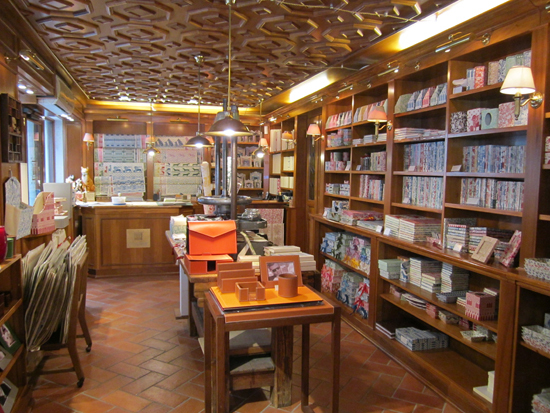 To talk about shopping in Venice, one must also mention the city’s rich commercial history. For nearly one thousand years, Venice was a mercantile power, acting as a portal to the East and Northern Africa for most of medieval Europe. Gorgeous silks, sumptuous velvets, exotic spices and sweets: these were among some of the goods that the powerful fleets of the Venetian Republic brought back from their voyages or that would pass through their bustling ports. During the powerful reign of the Venetian Republic, the city also became famous for its shipbuilding, carpentry, glassblowing, mosaics, lace, home décor, paper-making, and illuminated texts. Remarkably, Venice’s artisans keep many of these traditions alive to this day and there are numerous shops that recall the city's golden past. From the train station, along Lista di Spagna and Strada Nuova, there are a ton of shops lining the fairly broad street where you can find just about anything: shoes, masks, sweets, chain retails stores, etc. 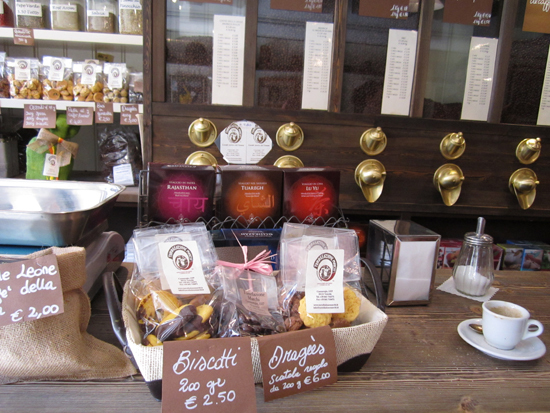 The Torrefazione Marchi (just after Ponte Guglie on the left), is a great spot where you can prendere un caffe made from coffee beans freshly roasted that morning and buy a package or two of the homemade biscotti (The Basi in Gondola are my favorite!) or fresh spices. A couple other picks: Balducci (Rio terà San Leonardo 1593) for some of the most beautifully crafted leather shoes and bags I’ve seen in Venice. 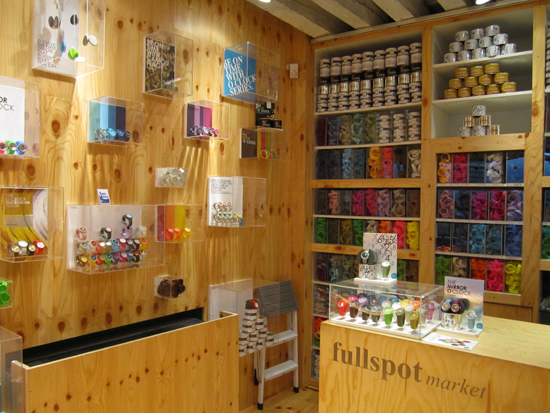 Closer to Rialto, there’s also Full Spot, a brightly-colored shop started in Venice that sells affordable and fashionable rubber wrist and pocket watches in a myriad of shades. On the Rialto bridge itself and on the San Polo side of the bridge, you will find a bustling area with vendors selling mostly souvenirs and jewelry. 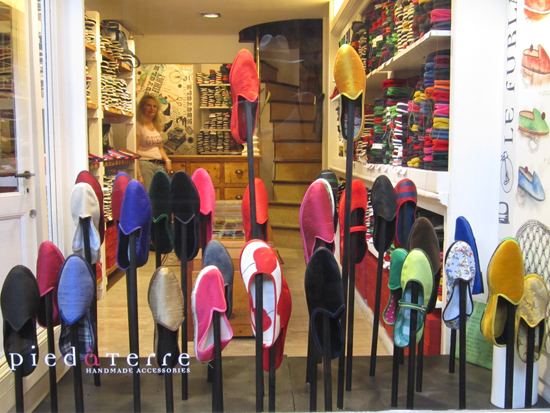 After the bridge along the left corridor, check out one of the best places to buy Venetian furlane, the velvet gondolier slippers: Pied à Terre. 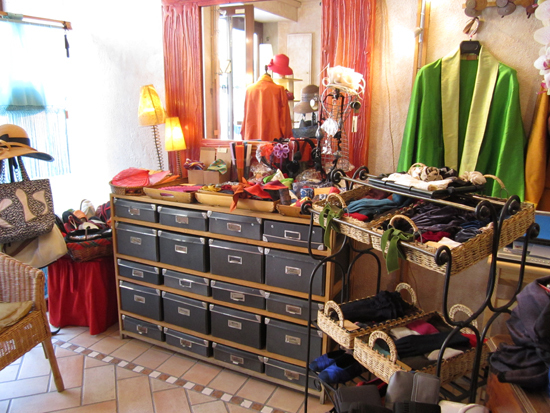 Following along Rughetta del Ravano, a busy shopping street, you will come across Serena Vianello’s carefully curated boutique of velvet shoes and accessories, silk shawls, stylish hats. 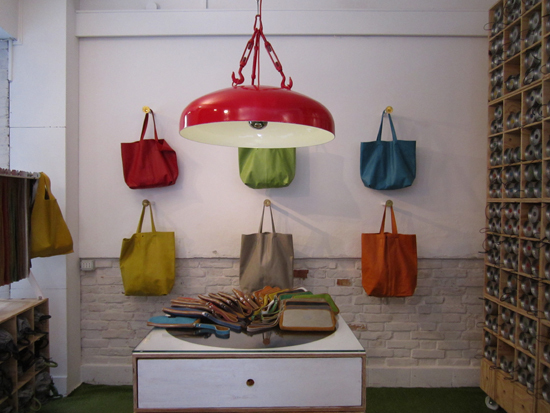 Always in the same direction, and just off to the right at Calle Seconda dei Saoneri, is the studio and showroom of Officine 904, a company started by a group of young artisans who produce hip, high-qualityleather bags in eye-popping shades. An article on shopping in Venice would not be complete, without a Venetian mask shop. Check out Ca’Macana, between Campo Santa Margherita and Accademia, one of the studios that produced masks for the film Eyes Wide Shut. Between Rialto and San Marco, you will find the Mercerie, an area known for both high-end boutiques and cheap souvenir shops. 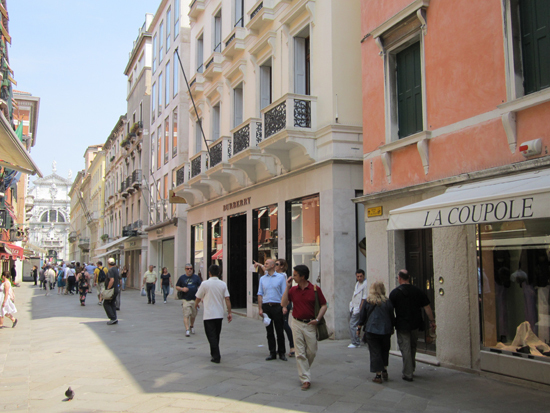 However, the Fifth Avenue of Venice is Calle Larga XXII Marzo, to the west of Piazza San Marco. 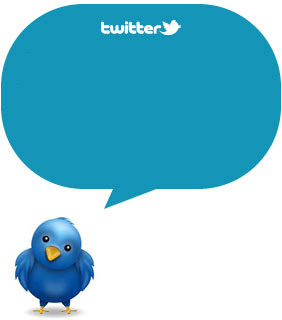 There you will find the high-end Italian brands such as Prada, Valentino, Gucci, etc. Further west, there are two shops of note: Il Prato, which sells glasses in an assortment of bright colors, finely-made leather products such as photo frames and desk accessories and a wide range of handmade paper products in a variety of gorgeous designs (the Doge’s Palace print is a must-have!) 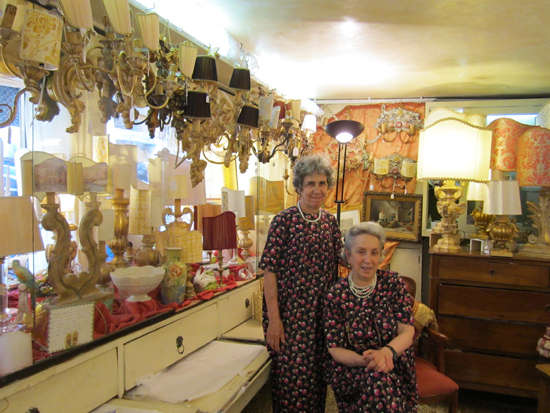 and La Bottega d’Artgianato Artistico, a shop run by two Venetian sisters, which produces ornate lampshades and other home décor items using fabric from the Mariano Fortuny company (Giudecca). Very close to Piazza San Marco, and just off Calle Larga XXII Marzo, is the narrow Frezzeria, lined with a mix of trattorie and mostly tourist shops. 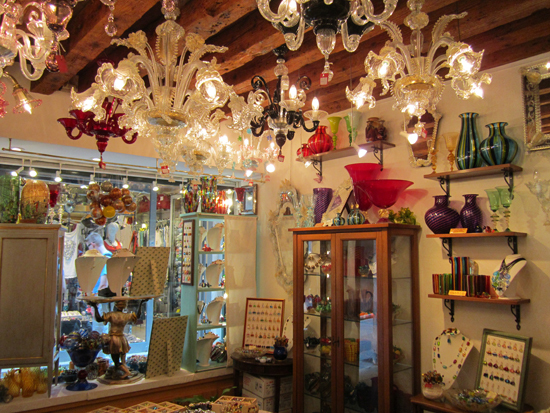 Hop off at Calle dei Fuseri, where you will find my favorite glass shop on the island of Venice: Atmosfera Veneziana. 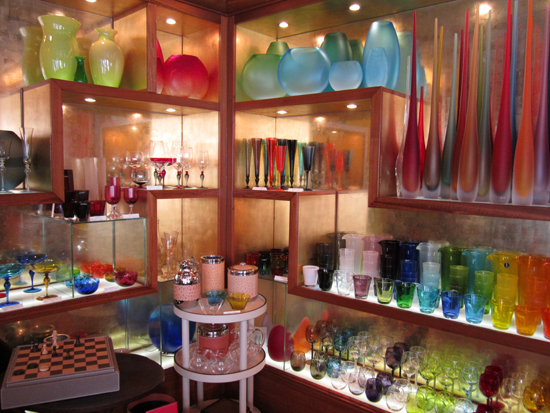 This sweet husband and wife team design and make their own Murano glass jewelry in tasteful color combinations and, in addition, sell glass beads, chandeliers, goblets, and much more. Of course you cannot forget about Murano and Burano, which are known for their glass and lace respectively and worth a trip, though you can find showrooms for both in and around Piazza San Marco if your time is tight. 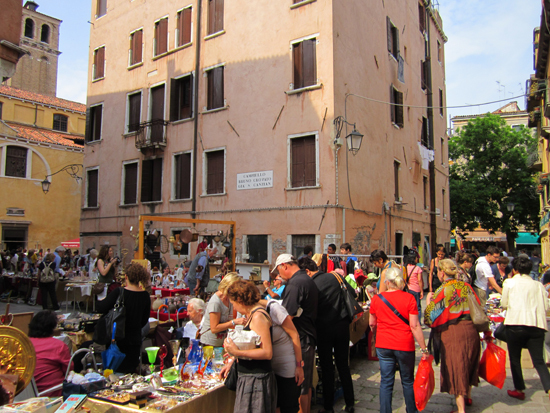 Lastly, perhaps one of the most fascinating shopping experiences in Venice is to stumble upon an antique market. They do not happen frequently, however, if you should find yourself in one’s frenzied presence, take a close look at the treasures displayed before you and see if you can imagine the medieval artisans at work in their studios, the glassblowers sweating in front of fiery furnaces, the lacemakers carefully spindling their delicate webs for royalty, and the teeming ports with parcels of silks and spices being loaded off the ships out into the maze of Venice.